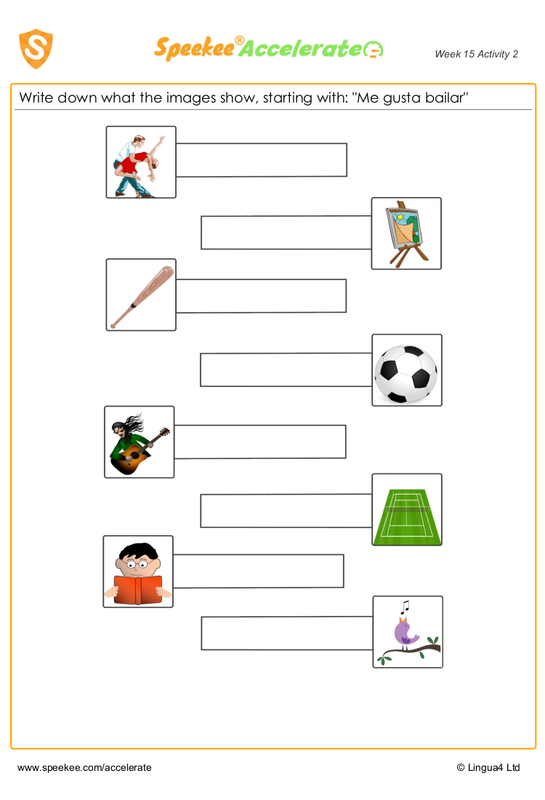 Spanish sentences using gustar are the subject of this printable worksheet. Here's an interesting fact about this very important Spanish verb: Gustar literally means 'To please' in English, so while we say 'I like it', Spanish speakers actually say 'It pleases me'. So the examples above literally mean 'It pleases me to paint'; 'It pleases me to dance'; 'It pleases me to play'. But of course in English we use the verb Like. Write down what the images show, starting with: "Me gusta bailar"